Oculus’ highly-anticipated Quest standalone headset is set to launch later this spring, and in preparation for the big release, the company is teasing fans with the release of a new trailer that showcases some of the new confirmed titles that we can expect to be available on the Oculus Quest with it arrives. It’s planned that there will be more than 50 titles available for Quest on launch day and more throughout the year. Oculus says they are working closely with developers in an effort to bring some of the Rift’s greatest games and experiences onto the new standalone platform. Below is just a preview of the content you can expect on day one. Gameplay of Owlchemy’s Labs’ Vacation Simulator, Creed: Rise to Glory, Vader Immortal, Beat Saber, along with quick glimpses of other popular titles such as Job Simulator, Bait!, Fruit Ninja, Drop Dead, Rush VR, Ultrawings, Eleven Table Tennis, Keep Talking and Nobody Explodes, and Angry Birds VR can be seen featured in the trailer. Other titles confirmed that will be available at launch include Robo Recall, Moss, The Climb, Dead & Buried II, as well as games like the recently announced Journey of the Gods and Shadow Point are also confirmed. On top of titles like Superhot VR, Space Pirate Trainer, and the new Dance Central VR—just to name a few of the many games that are coming to Oculus’ new standalone platform. 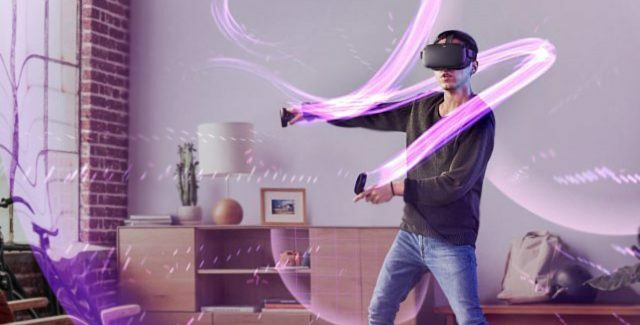 The Oculus Quest standalone headset will be priced at $399 when it launches this spring, with many speculating an announcement could take place during Facebook’s upcoming Developers Conference (F8) in April. Stay tuned!